Well it’s that time again, and it’s definitely true when they say Christmas comes earlier every year. I actually can’t believe I’m talking about Advent Calendars already! I’ve put this post together so I can share as much early bird info as possible. I’m gathering together all the information that I can on every single beauty advent calendar available for 2017. I’m also including candles and a couple of other extra special ones that have caught my eye. I should point out that some of these calendars are available now (hence why I’m publishing this post now), some are pre-order / waitlist, and others aren’t available as yet. I’ll include details on availability for each one so you know when you’ll be able to snap them up, as well as updating release dates as and when I have them – so be sure to bookmark this post and keep checking back for new info! I’ll also be adding more calendars as I come across them – so do keep checking back for (hopefully) the most comprehensive list of beauty advent calendars around! And what’s in it? – One of the most affordable beauty advent calendars on the market, Bomb Cosmetics gives you 24 days of super sweet bath treats. Expect to find a range of bath blasters and soaps to keep your bath sweetly scented throughout December. And what’s in it? 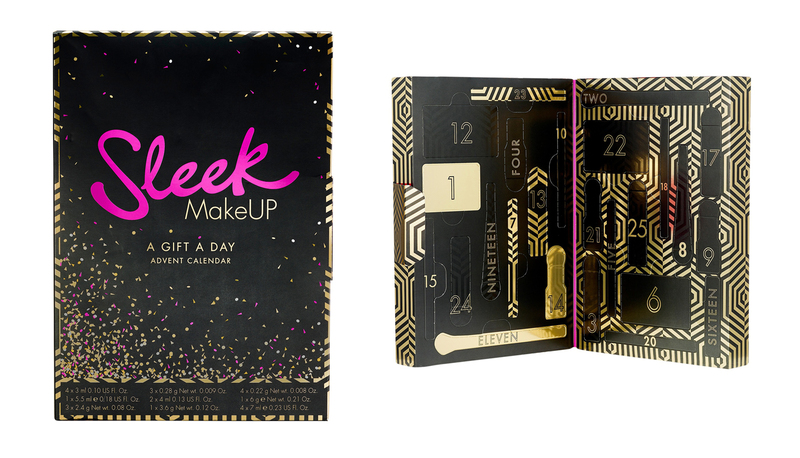 – House of Fraser are back again this year with their affordable advent calendar, this one contains 24 days of Colour Couture beauty treats. And what’s in it? – This is the first fragrance only advent calendar I’ve seen, and I love that it’s budget friendly! The Superdrug Bloom EDP Calendar contains 12x mini 8ml EDT fragrances from the Superdrug Bloom range. And what’s in it? – This fantastic budget advent calendar contains a selection of mini W7 beauty products, including lipsticks, nail polishes and more, with a full size product behind the last door. When and where? Available NOW at GetPark. And what’s in it? – This fantastic budget advent calendar contains a selection of Mad Beauty makeup and accessories, as well as 4 x crackers which each contain a different shade of nail polish. And what’s in it? – Tanya’s 12 Sweet Days Advent Calendar is perfect for teens and contains a selection of Tanya Burr beauty goodies, expect ‘Christmassy’ red and silver shades, and lots of glitter and sparkle. And what’s in it? – 24 exclusive Sephora Collection makeup, skincare, and bath and body products and accessories—giving you a new surprise every day until Christmas. Starting with the cheapest, the 24 Days of Beauty Calendar (£45.00, but worth £86.00) contains a selection of essential products from The Body Shop. Going up a step, the middle priced calendar is the Deluxe Advent Calendar (£65.00, but worth £116.00) – this includes a more varied selection of products, mixing essiential basics with higher end treats. 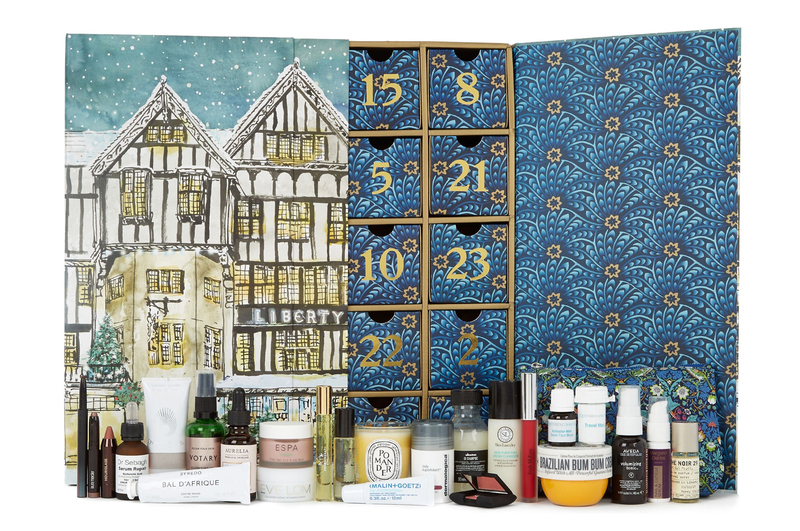 And lastly the most expensive is the Ultimate Advent Calendar (£99.00, worth £214.00) – this contains some of the best products you can buy from The Body Shop, such as Drops of Youth Concentrate, Spa of he World Body Cream and a Japanese Matcha Tea Mask. And what’s in it? – This is Sleek’s first ever advent calendar, containing 24 beauty treats such as liquid lipsticks, eyeliners and contour kits – a must have for any Sleek Makeup fans. And what’s in it? 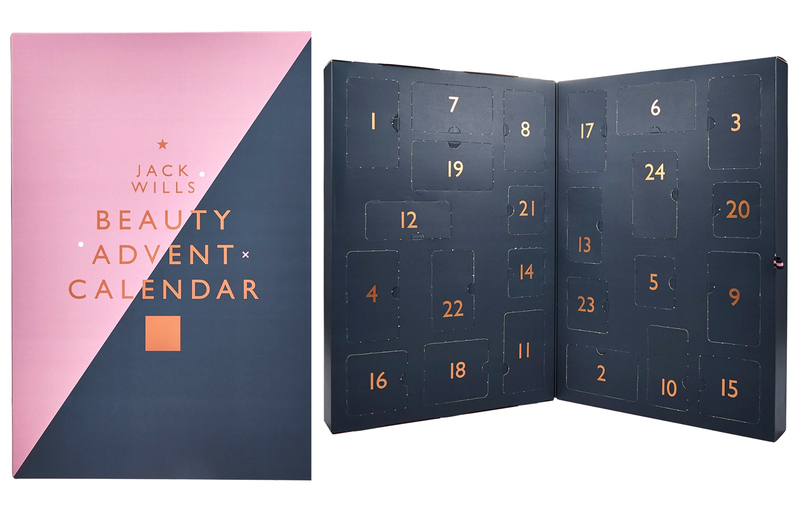 – I believe this is a first from Jack Wills too – this beauty advent calendar contains a selection of their skincare, nail and haircare gifts, such as nail polish and hair accessories. It’s a must have for lovers of the brand. How much? £35.00 but worth over £90.00. And what’s in it? – Feel Unique are back again with their fantastic 12 Days of Beauty advent calendar. Expect to find some amazing brands included, such as Jurlique, NYX, Rimmel and Roger & Gallet. How much? £35.00 when you spend £35.00 or more on clothing or home. Calendar contents worth over £250. And what’s in it? 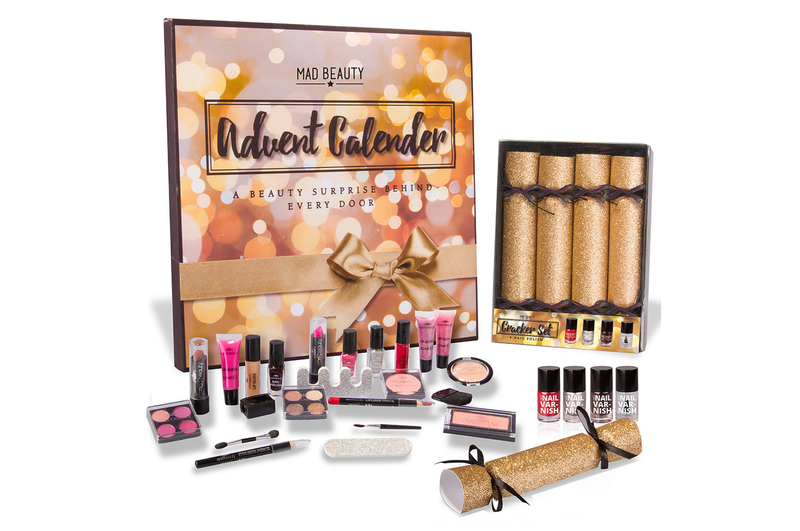 – In my opinion this is easily one of the best value for money beauty advent calendars – I had last years’ which contains some fantastic high end brands such as Rodial, Pixie, Emma Hardie, Shay & Blue, Alpha H, Nails Inc, Rituals and many more, and the 2017 calendar looks very similar in terms of the brands included. This is definitely a must have! And what’s in it? – The Holland & Barrett Natural Beauty Advent Calendar includes a great selection of natural skincare products from brands such as Dr Organic, Dead Sea Spa Magik, Sukin, Yes To, Trilogy and more, as well as a range of product vouchers to use across the festive season. And what’s in it? – As far as I know this is a first from Amazon – their beauty advent calendar contains some fantastic brands such as Laura Geller, Rituals and Maybelline. This is definitely one worth checking out! When and where? Available from October 25th at Boots. And what’s in it? – The Boots No.7 Beauty Advent calendar contains a fantastic selection of No.7 products, across skincare, makeup and accessories in both deluxe mini and full sizes. And what’s in it? – Blending two iconic, original prints by William Morris, Golden Lily and Strawberry Thief, this joyous Advent calendar is the ultimate festive countdown. The calendar contains a selection of skincare products featuring the two signature scents. And what’s in it? – Well who wouldn’t want a Soap & Glory treat for 24 days of Christmas? This calendar contains a selection of Soap & Glory’s most loved products, including Pillow Plump lip glosses, Eyeliners and plenty of skincare treats. And what’s in it? 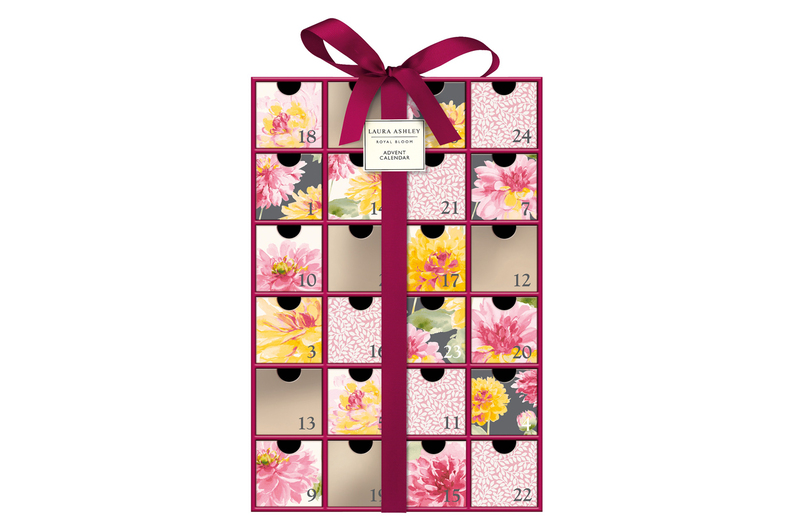 – A first from Laura Ashely, their Royal Bloom beauty advent calendar has a pretty floral finish and contains 24 Laura Ashley beauty treats, including bath crystals and luxury body wash, as well as body polish and hand and nail creams. And what’s in it? 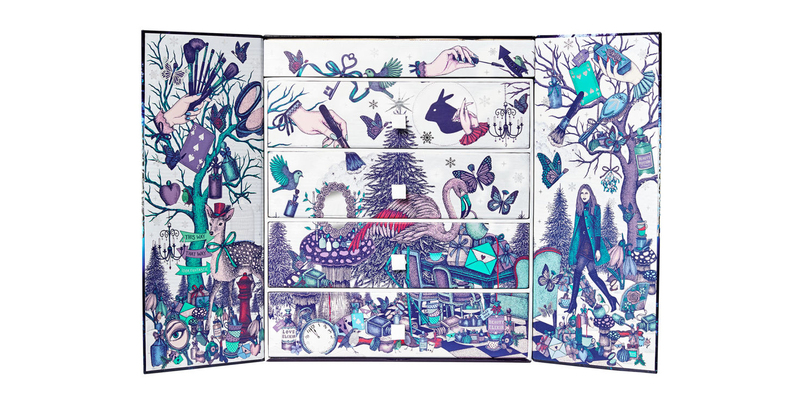 – The Mavala Advent Calendar includes 12 drawers each containing a fabulous treat for your nails. Included are four products from Mavala’s new skincare range, four mini nail colours, plus six top-selling secret surprises. And what’s in it? 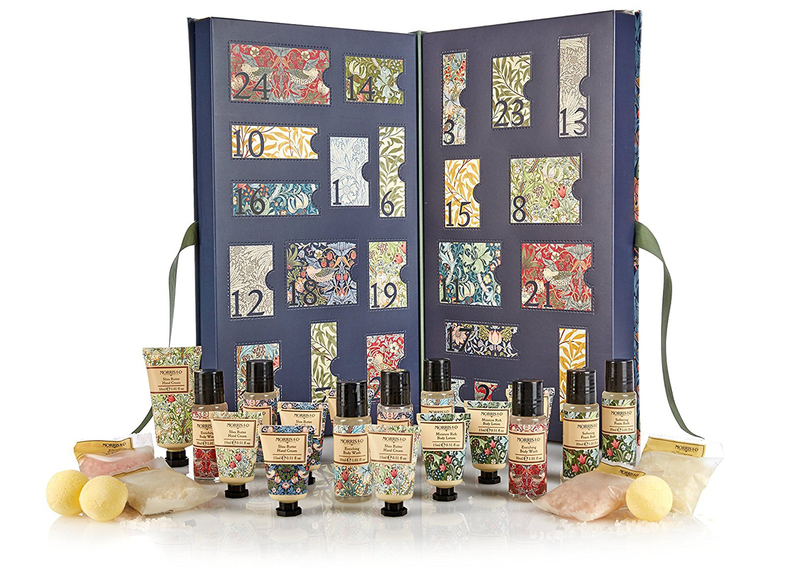 – The Crabtree & Evelyn Advent Calendar contains 12 days of botanical and floral infused Hand Therapy treats with varying scents. And what’s in it? – Indulge someone special this festive season with this collection of luxurious skin and body care treats from NUXE, the perfect countdown to Christmas. When and where? Available NOW at ASOS. Last years calendar is also available to buy here. And what’s in it? – Ciate is back again this year with their famous Mini Mani advent calendar. Expect to find 24 nail treats including mini polishes, nail files, nail treatments and two nail toppers. And what’s in it? – The first of two Makeup Revolution Advent Calendars for 2017, this one contains 25 Makeup Revolution essentials, including six lipsticks, three baked highlighters, four makeup brushes, a full size exclusive Revoholic Eyeshadow palette and much more. When and where? Available NOW at Selfridges and FeelUnique. And their 2016 calendar is still available here. And what’s in it? 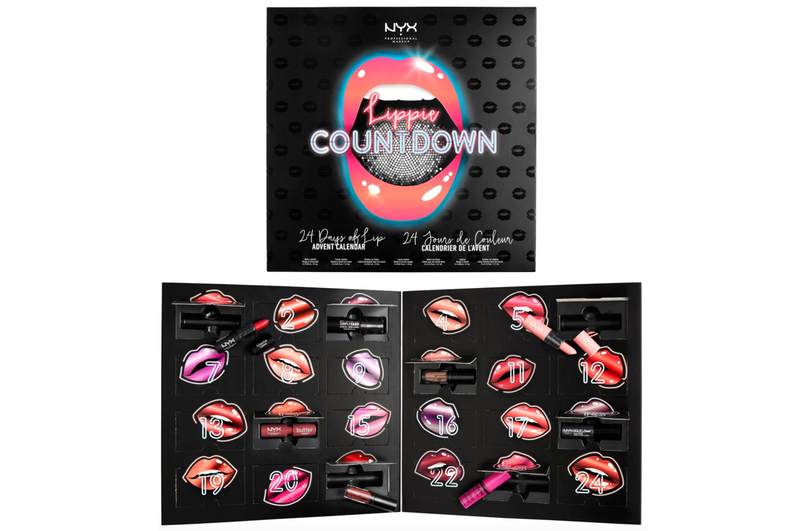 – The NYX Lippie Countdown is a must have for fans of NYX lip products. It includes 24 doors, each revealing a NYX hero lip product, including their Lip Lingerie’s, Butter Glosses, Matte Lipsticks and Liquid Suede Lips. And what’s in it? – Zoella’s advent calendar has come with a lot of scrutiny this year – £50.00 is pretty expensive for only 12 doors, with relatively low value items such as metal cookie cutters and stickers – what do you think? And what’s in it? – ASOS are back for the second year running with their fabulous beauty advent calendar. For 2017 they’ve included a selection of their favourite brands such as Caudalie, The Ordinary, NYX, Codage, Smashbox and 111 Skin. How much? £59.50 and £79.50. When and where? Available NOW at Rituals. And what’s in it? – Rituals have two fantastic looking 3D advent calendars this year -there’s the Exclusive version (£59.50) which includes 24 Rituals surprises, including 4 special advent candles, and the Deluxe version, which is an amazing looking 3D gold Christmas tree (£79.50 worth £140) containing 24 exclusive and luxury Rituals surprises and special advent candles. And what’s in it? – The Clarins Advent Calendar includes 12 days of deluxe Clarins hero product treats. Expect to find all you favourite products inside – this would make the perfect gift for lovers of the brand. How much? £60.00, but worth £245.00. When and where? Available NOW at Latest in Beauty. And what’s in it? 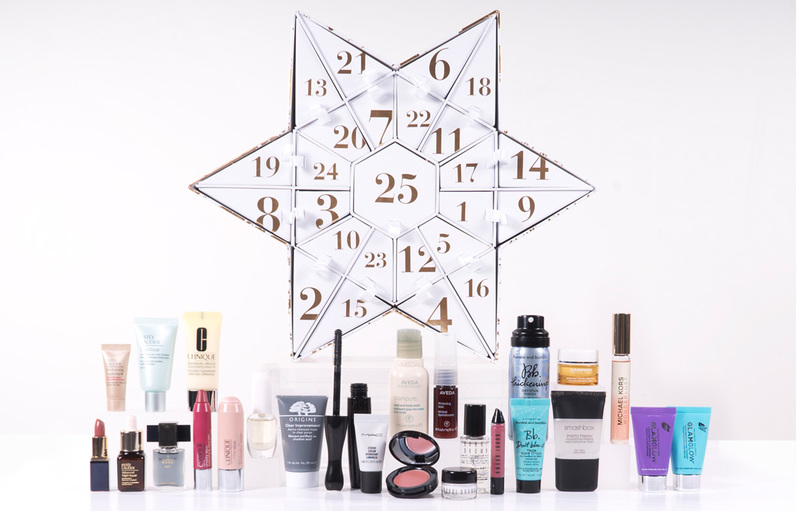 – The You Beauty Advent calendar contains 24 days of premium beauty products including full size and generous travel size products from brands such as Rodial, ESPA and The White Company. And what’s in it? – The OPI Advent calendar contains 25 limited edition mini OPI nail polishes – this would make the perfect gift for fans of the brand. And what’s in it? 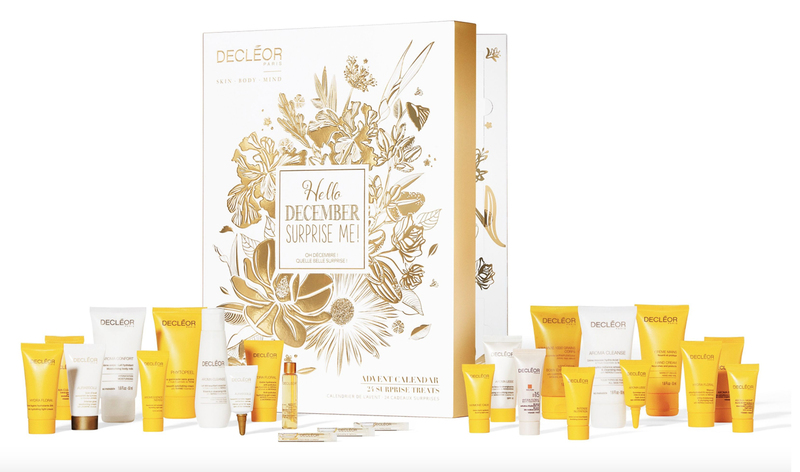 – I had Decleor’s Advent Calendar last year, and it was fantastic! For 2017 Decléor’s advent calendar features 24 bestselling products, with three whole full-sized skincare products for you to enjoy. Last year, I’ve read that one of these sold every eight seconds, so make sure you snap this up while you can! And what’s in it? – The Cowshed Travel Advent Calendar contains 11 of Cowshed’s best selling skincare products, in deluxe travel sizes. And what’s in it? – Liz Earle’s 12 Days of Christmas Advent Calendar is back again for 2017, including some of their best selling products such as the Cleanse & Polish Hot Cloth Cleanser, Soothing Eye Lotion 50ml and the Intensive Nourishing Treatment Mask 15ml, as well as much more. And what’s in it? 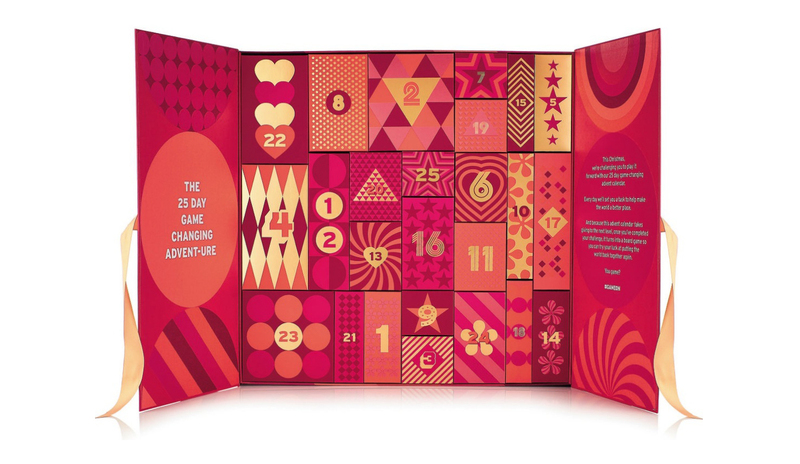 – This year’s bare Minerals Advent Calendar looks so good – it contains 24 beauty surprises covering mostly makeup. Expect to find lip glosses, lipsticks, blushers, eyeshadows, mascaras and one skincare treat, as well as a pen and notepad. How much? £79.00, but worth over £300.00. And what’s in it? 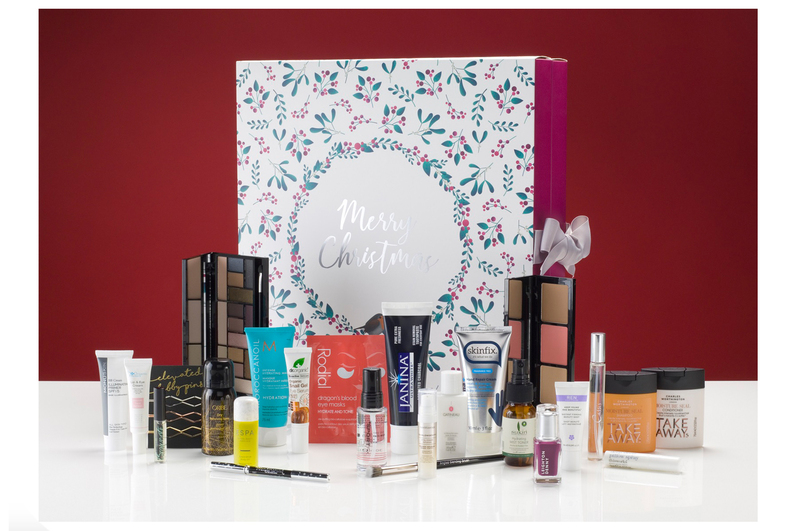 – Look Fantastic’s amazingly popular beauty calendar looks better than ever this year – the beautifully designed advent calendar is packed with nine full-sized products, 16 deluxe samples, 19 exclusive products, 13 skincare treats, three beauty tools and seven colour cosmetics. This is a complete bargain worth over £300.00! And what’s in it? – The Essie Advent Calendar includes everything you need for perfect nails throughout December. It includes 7 nail polishes (a mix of core colour and gel couture), 13 mini nail polishes, 1 mini nail polish remover and three essie mani surprises. It also contains 5 shades exclusive to the calendar. And what’s in it? – L’Occitane have launched their first ever luxury advent calendar for 2017 – and it looks amazing! Inside you’ll find 24 deluxe mini products, including favourites such as the Divine Cream and their beautiful new fragrance, Terre De Lumiere. And what’s in it? – Ok so I know this is clearly not beauty – but I LOVE Kikki.K and I just had to include this! This is their first ever advent calendar and I can’t tell you how excited I am! 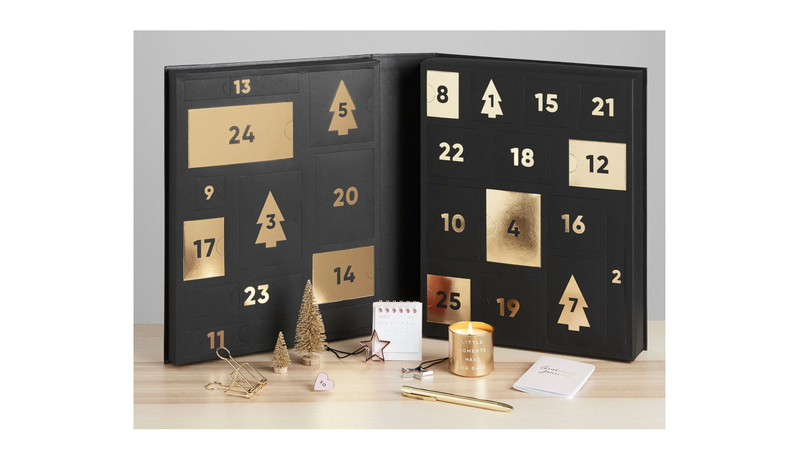 The perfect gift for stationery lovers, this advent calendar contains a selection of Kikki.K luxury goodies, including pens, a mini candle and Christmas decorations. When and where? Available from 19th October 2017, exclusive to Selfridges. And what’s in it? – Kiehl’s are back again with an Advent Calendar jam packed with their amazing skincare products. Expect to find 24 goodies included, such as their hero Creme de Corps, Ultimate Strength Hand Salve and Midnight Recovery Complex. And what’s in it? 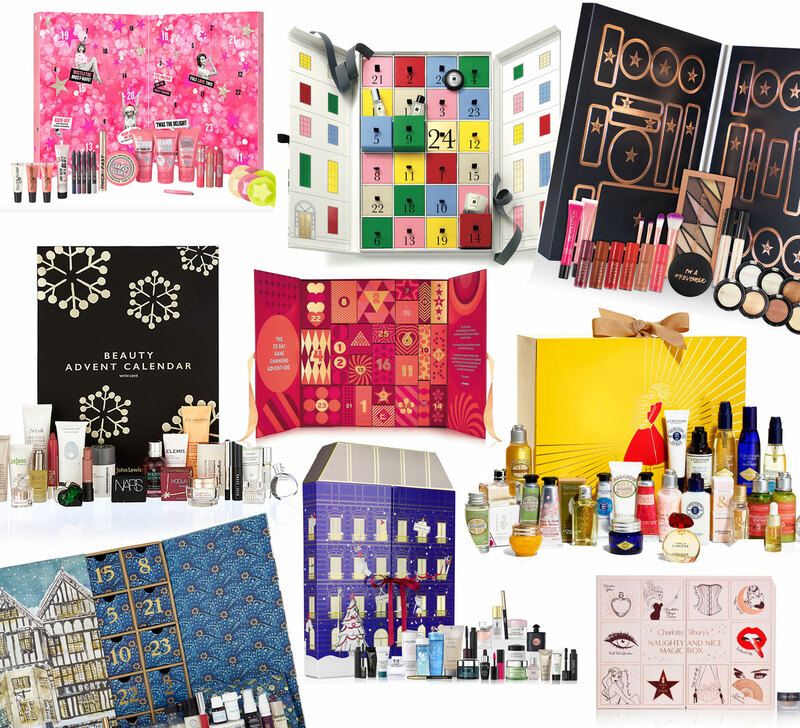 – The first of two L’Oreal themed advent calendars, this year Boot’s brings you a luxury beauty calendar containing some of L’Oreal’s best brands. Expect makeup, skincare and fragrance from the likes of Lancome, Ralph Lauren, YSL and Victor & Rolf. And what’s in it? 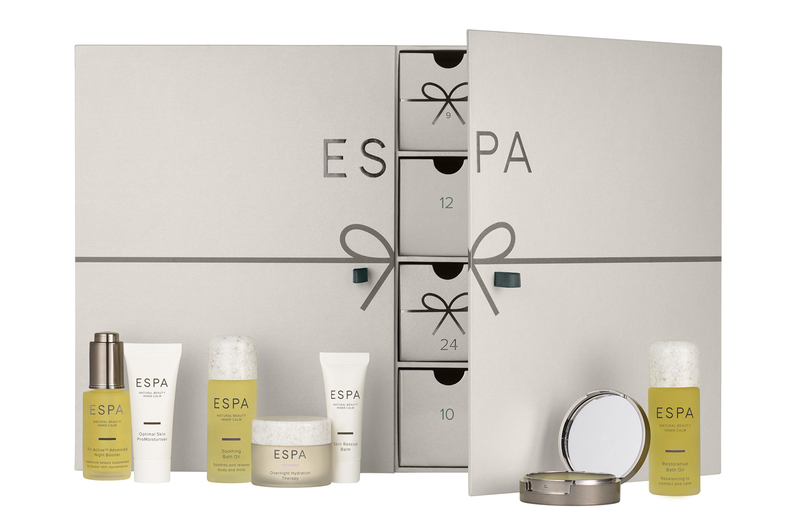 – Another new calnedar for 2017, ESPA have jumped on the bandwagon offering a range of mini and deluxe travel sized of their most popular products. This is a must for skincare fanatics! And what’s in it? – The second of Makeup Revolution’s Advent Calendars for 2017, this deluxe calendar contains 25 full size products, including a Bronzing Palette, five Redemption Eyeshadow Palettes, two Ultra Strobe Balms, and three Lip Euphoria Lip Glosses. And what’s in it? – The selfridges beauty Advent Calendar is back again for 2017, including a fantastic selection of L’Oreal brands. Expect to see mini versions of some of the latest releases from high end brands including YSL, Urban Decay, Lancome, Kiehl’s and Victor & Rolf. When and where? Available from the end of October at most Estee Lauder sites, including Estee Lauder, Clinique, MAC, Origins and Bobbi Brown. And what’s in it? 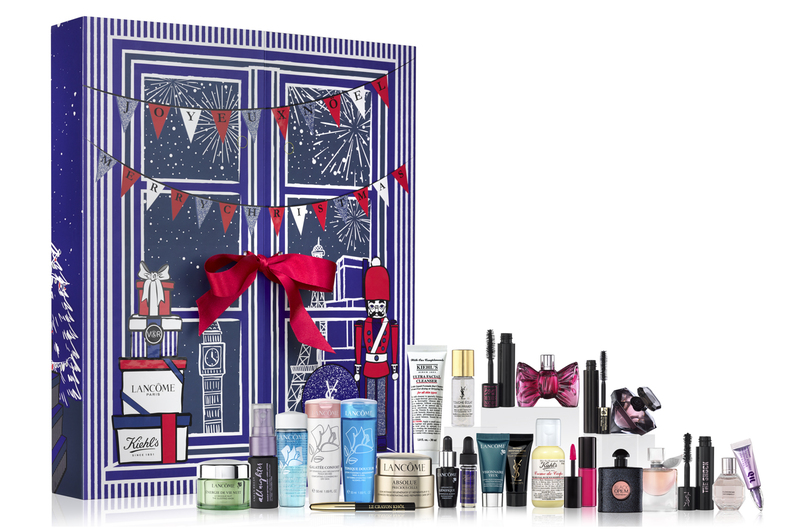 – The Estee Lauder The Beauty Countdown Advent Calendar is packed full of Estee Lauder brands’ favourite products. there’s makeup, skincare and fragrance from Clinique, Bobbi Brown, Michael Kors, MAC, Glamglow, Smashbox and more. This calendar really does look amazing – there will only be 1000 available, so you’ll want to snap this one up fast. And what’s in it? – This is John Lewis’ first ever advent calendar, and boy is it a good one! Giving beauty lovers a mixture of 25 full size and sample size products, this calendar contains high end brands incuding MAC, Guerlain, Marc jacobs, Dermalogica, Laura Mercier, Molton Brown, Sarah Chapman, Hermes and many more. I won’t spoil the surprise here, but if you click on the link you’ll see a full list of products included – I promise you won’t be disappointed. I predict this one will sell out fast too! And what’s in it? –This sounds like it’s going to be a fantastic advent calendar, including high end brands such as Charlotte Tilbury, MAC and Bobbi Brown – I can’t wait to see the contents! And what’s in it? – Charlotte Tilbury’s advent calendar is looking better than ever this year, the Naughty & Nice Magic Box contains 12 full size and mini treats – I may have to snap this one up myself! How much? £165.00, worth over £500. When and where? Available from 25th October 2017 at Liberty. And what’s in it? 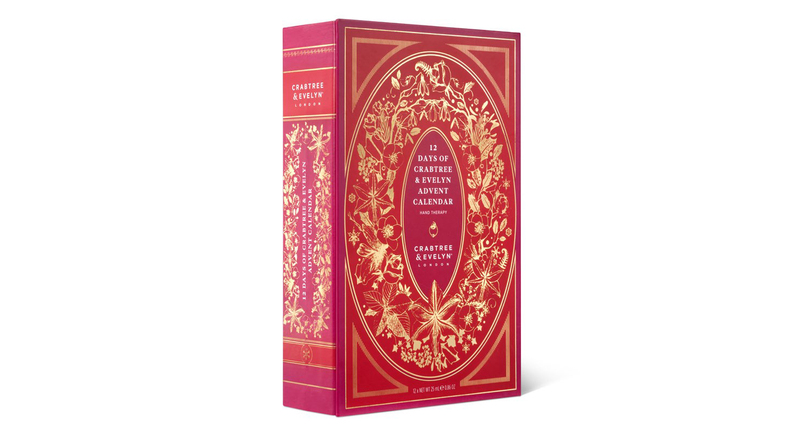 – This giant beauty calendar from Liberty is one of the best luxury beauty advent calendars money can buy. Containg some of the best luxury products, you’ll find 13 full sized goodies from brands such as Diptyque, Byredo and Le Labo, as well as high end brands including Eve Lom, Trish Mcevoy, ESPA and Hourglass. I’d recommend you snap this up asap, as it sells out every year. When and where? Available from 1st October available Harrods. And what’s in it? 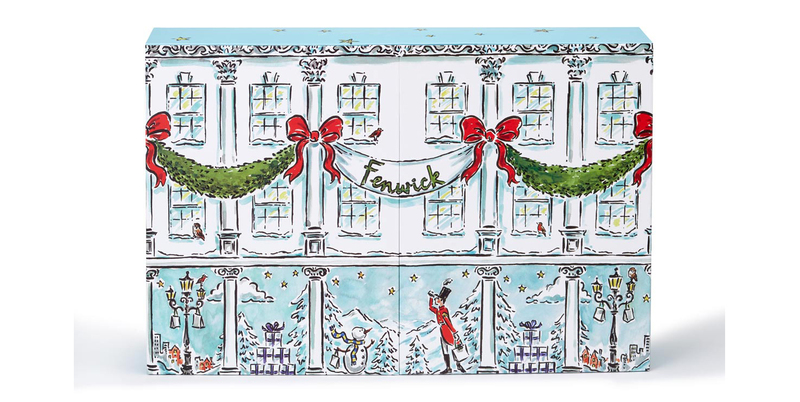 – As far as I know this is Harrods’ first beauty advent calendar, and I just know it’s going to bee a good one. Each of the 25 drawers will open to reveal a luxury beauty item – expect high end brands including Marc Jacobs, Bobbi Brown, Huda Beauty, NARS and Acqua Di Parma to name but a few. When and where? Available NOW at Molton Brown and John Lewis. And what’s in it? – Molton Brown are back again with their fabulous Scented Luxuries Advent Calendar, packed with 24 beautifully scented fragrance, body and bath products. Expect to find your favourite Molton Brown scents, across Shower Gels, Body Lotions, Candles, Exfoliators and more. This is a must have for fans of Molton Brown. When and where? Available from October exclusive to Harrods, then available nationwide from November 2017. And what’s in it? – Jo Malone’s advent calendar is back again for 2017, this time with a fun and colourful design. This is one of the most expensive and coveted beauty calendars on the market, and contains 24 luxury Jo Malone goodies – including Scented Body Creams, mini Fragrances and Candles. This is definitely on my wish list! And what’s in it? – The Diptyque Advent Calendar really is the height of luxury, containing 15 x 35g mini candles, 7 x EDT mini fragrances and two body products, all in your favourite Diptique scents, as well as one larger 70g candle in Frosted Forest.